Laser skin tightening is subtle, non-invasive way to improve the smoothness and firmness of the skin giving it a more youthful appearance. Is is safe for face, body, and around the eyes. 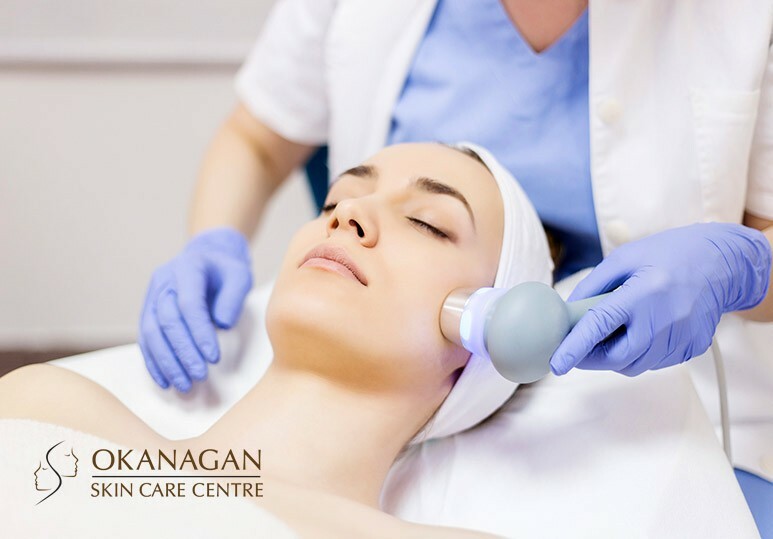 At Okanagan, we offer Thermage, a radio frequency skin therapy which safely heats the deepest layers of your skin, stimulating the existing collagen while promoting new collagen growth. Thermage treatment for your eyes and face typically lasts for 45 minutes and up to 90 minutes for larger body areas depending on the size, location and condition of the treatment area. It helps deal with sagging or loose skin. Skin tightening provides a visual change typically to the silhouette and dimensions of the face. It is not the same as a facelift and does not have the same results, nor is it supposed to. It is subtler and some estimates say around 15-30% as effective. This is fine if you don’t want or can’t afford the healing and downtime required with a full facelift or don’t have need of one, if skin sagging is minimal. However because of this it is recommended for younger patients whose skin can most bounce back and utilize the subtler effect. The results are noticeable immediately but will continue to improve for up to six months as your body continues to regenerate collagen. The results are long-lasting and dependent on the experience of the provider as well as the quality of the laser used. Unfortunately, you often get what you pay for and the higher quality is correlated to the price. Okanagan Skin Care is the number one provider for Thermage in the interior of British Columbia and our Registered Nurses have been performing Thermage for many years. Their experience is key to their successful outcomes with Thermage. Laser skin tightening treatments have been gaining in popularity, with face and neck, arms, legs, and even butts being sculpted with this advanced technology. To learn more about our thermage treatment services or to book a consultation today with one of our expert skin care specialists, give us a call at 250-868-9290 or email us using our contact form.